Today, almost every industry is at the threshold of digital and data transformation. Businesses are using artificial intelligence, robotics, machine learning and other sophisticated technologies to boost operating efficiencies, reduce production costs, and better serve customer needs. The food and beverage sector is no exception: By combining artificial intelligence (AI) with sensor-embedded “smart” machines, the industry can better match products to consumer preferences, reduce equipment maintenance and repair times, minimize waste and decrease plant energy expenditures. In sum, the use of AI and the Internet of Things (IoT) is boosting the industry's bottom line resulting in higher profit margins. Rather than looking at the production process as a series of unrelated steps, the aforementioned technologies work together to integrate manufacturing into a congruous cycle (where data from one step of the process informs others). For example, if customers love a new food that the company introduces to the market, resulting in high customer demand, this information automatically influences the company's production cycle. That is, the company’s suppliers, production personnel, logistics and distribution organizations work together to automatically ensure there is enough product on the shelves to satisfy increased customer demand. This is all part of Industry 4.0—the synchronization between technology like AI, robotics, and IoT that enables humans to accomplish more than we could on our own. And thanks to the use of data, Industry 4.0 can play a large role in helping food companies develop automated processes to reduce energy costs. 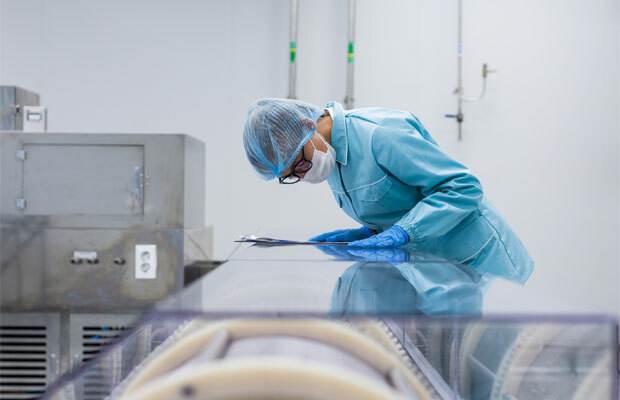 Internet-enabled sensors embedded in food processing equipment like cutters, choppers, packers, shrink wrappers, and labeling systems can alert plant personnel to possible maintenance issues before a machine completely breaks down. The sensors measure temperature, vibration, lubrication, and moisture. 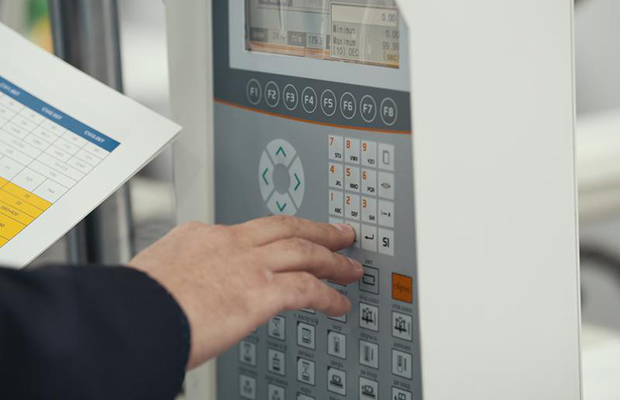 An algorithm correlates these measurements to spot a brewing problem before a machine’s unexpected downtime results in the cancellation of a production run. Now, problems can be resolved without completely shutting down production. Even better, machine learning can help personnel spot problems earlier and earlier (by identifying potential precursors) so that equipment can quickly be repaired and companies can save on the energy costs that they would have incurred from shutting the plant down for repairs. Such costs also can be cut through the use of internet-enabled light sensors at warehouse loading docks. Anywhere that light comes through a loading dock door translates into a loss of heat and cooling, which escapes through the gaps. This is often the case when a truck is halfway through a door and the sealing curtains at the top of the trailer fail to adequately seal the area. For just a single loading dock door, this can add up to thousands of dollars in additional energy costs. The light sensors trigger an alert to warehouse personnel to address the situation. Inefficient lighting of a food or beverage plant can also add up to lost dollars. However, internet-enabled motion sensors can restrict lighting in an area when they detect workers have left part or all of a facility. When motion resumes, the lights again illuminate. It's not just food producers who are taking advantage of these cost-saving and efficiency-gaining opportunities. At Moosehead, a Saint John, New Brunswick, Canada-based beer company, the conveyor belt at the company’s bottling plant is embedded with sensors and data analytics software to increase throughput and reduce costs. 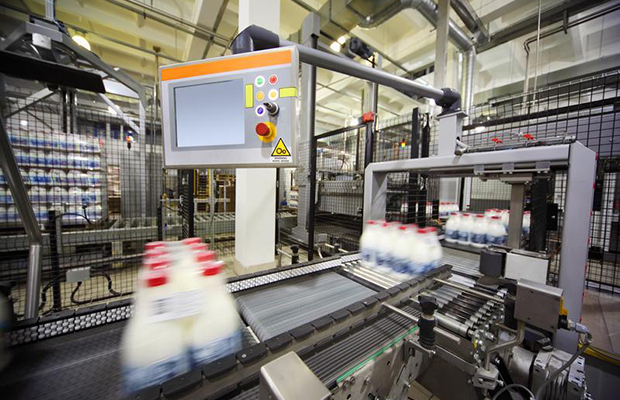 The sensors manage the pasteurization, filling, labelling, capping and packaging of bottles as they travel along the conveyor belt’s continuous loop. Moreover, the internet-enabled sensors are linked to Moosehead’s procurement and supply chain operations to better align production with customer demand in different market regions. 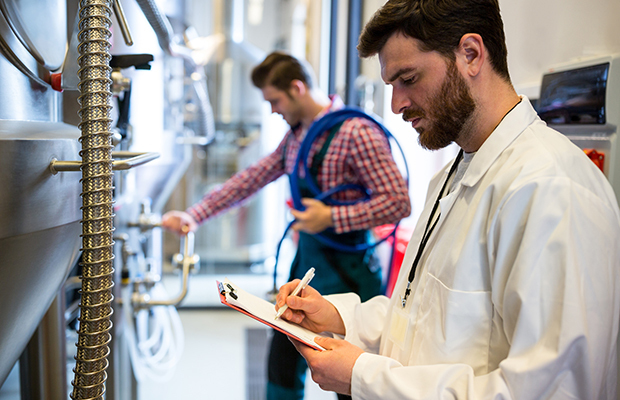 As these technologies become increasingly sophisticated, food and beverage producers anticipate additional productivity and operating improvements. Small wonder then why 94 percent of large company respondents to Deloitte’s 2018 Industry 4.0 Global Survey referred to data and digital transformation as their organization’s top strategic objective. Automation in the food industry using AI, IoT, machine learning, and predictive analytics, is crucial to competitive survival. The various cost reductions resulting from these technologies are vital to the financial health of the food and beverage industry. Russ Banham is a Los Angeles-based financial journalist and author.